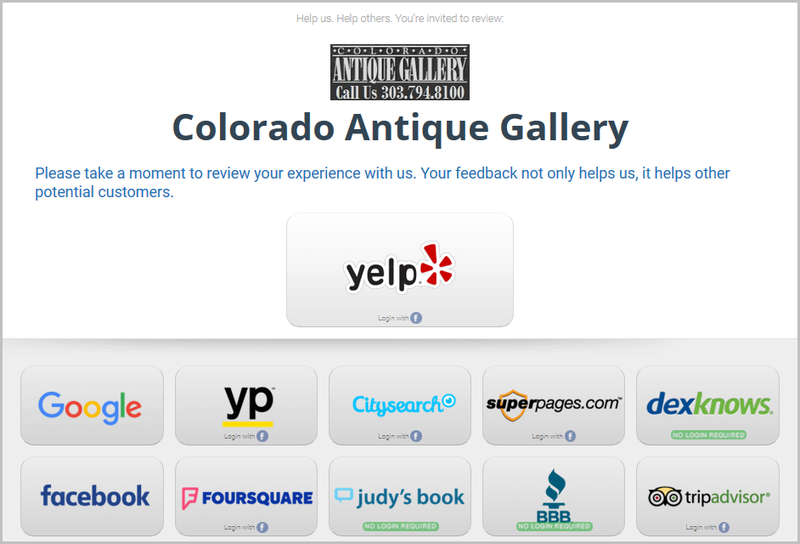 You are here: Home / Do You Manage Online Reviews for Your Local Business? Do You Manage Online Reviews for Your Local Business? Note all of the places they have reviews, and the amount of reviews their customers have placed for them. This results directly in more walk-in traffic and sales. Acquiring online reviews is an extremely effective tactic to improve your local search engine rankings dramatically, increase conversions and increase sales. A review funnel greases the tracks that lead your customers to the most relevant local online citation sites to add their 5-star reviews. 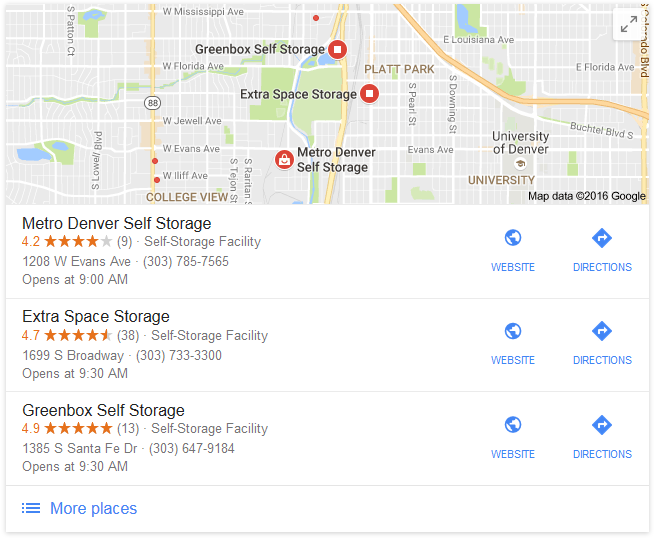 These Google reviews, and those in many other important local directories will change your company. Think about it. Everyone does their research nowadays before they make a purchase. They do Google searches for the product or service they need. They see the ads, they see the companies listed in the Local 3-pack and they see the list of sites ranked organically below the 3-pack box. They may go to those sites and try their luck. 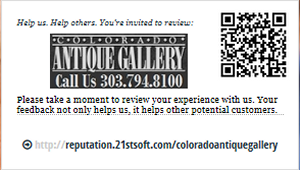 The site may be Yelp, Yellow Pages, Super Pages, Facebook, FourSquare or the Better Business Bureau. These sites are called local citation sites. The ones that are most important to your business vary with country, locality and business vertical. All you have to do is search for your services and you'll see the sites where companies like yours are listed. That's where you need to be - with a ton of 4 and 5 star reviews. Click the image above and guess which company most people will most likely call or visit. The reviews never go away, so you are literally growing an asset for your company. Being listed in the citation directories itself is a local SEO ranking factor. Being listed in the most relevant citation directories with many positive reviews boosts your local Google rankings even more. The reviews convince the person searching for your services that you are the business they should work with. A compelling number of 5 star reviews everywhere they look pushes them over the top, so when they do call you they have essentially already made their decision to work with you. 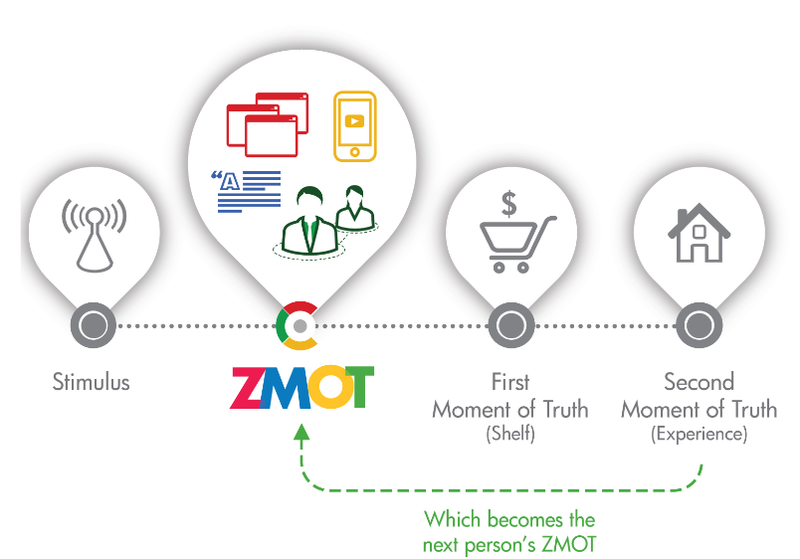 Google has a name for this effect - ZMOT (pronounced zee-mot), or the Zero Moment of Truth. Several years back Procter and Gamble formalized the term Moment of Truth breaking it down into multiples. The First Moment of Truth was when you are at the store comparing products to make a decision to buy. The Second Moment of Truth is your experience when you use the product, and what you do after experiencing the product. You can be satisfied enough to buy it again, or ecstatic about it enough to post great review about it. You can also be dissatisfied enough to complain to the store where you bought it. Your Second Moment of Truth becomes the Zero Moment of Truth for the next person! The Zero Moment of Truth is the time before you get to the store when you are doing your research. You are compiling all that you see in order to make your buying decision as described above. One of the most convincing inputs that people use in their decision process is taking recommendations from their friends. Recommendations from trusted online sites is also way at the top of the list. You need to be there! We set up a review funnel for one of our HVAC customers specializing in furnace repair. They were doing great and for months had been in the #1 local position and the #1 organic position in Google rankings. They had about 25 Google reviews that had taken months to acquire. It took months because reviews were also being added to many other local citation sites important to their local business. Google loved it. Then one of their competitors saw their local Google rankings and decided to act on it. They started pumping their Google My Business account with reviews, but they didn't add reviews to any other local citation sites. In Google's eyes this is akin to stuffing the ballot box. It isn't natural progression of online reviews. 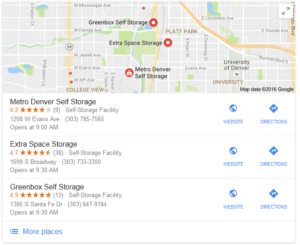 This competitor was pumping their Google My Business account with reviews, but weren't adding reviews to any other sites. They piled up - 25, 50, 100, 150, 200, 250... For a short time Google gave them rankings in the local box. Them after a few months Google removed them from local rankings. Completely. Several months later they are still conspicuously missing from the Google local rankings. An additional part to this story is that my customer called me one day and said he was concerned. Since we had been riding the crest of the wave with top local and national rankings I asked him what the concern was. He said that he had hired 40 extra HVAC technicians because of these rankings and wanted to know if I could guarantee these top local Google and organic SEO rankings. The answer unfortunately was that there are no guarantees. The methods I used to achieve these rankings are exactly what Google recommends, but they can change their mind. Their algorithms change regularly. The real answer though is that gathering positive reviews in all of the top citation sites is in your company's best interest, regardless of Google rankings ad traffic. If Google disappeared altogether then the result would be that your company has an outstanding online presence with accounts and great reviews in all of the relevant directories where people will be looking for your services. This is a very good thing. You have to ask your satisfied customers for a review. Note that you never want to ask them for a positive review, and you never want to compensate people for providing reviews. Doing so can get you banned in the citation sites, and many times there is no effective way to get into the good graces of Google, Yelp or the other main citation sites. Besides, it's just not ethical. Give them a business card with the address and QR code like the card to the right that gets them to the review entry page. Make it easy for them to provide a review. Give them an opportunity to provide reviews on the sites that they feel most comfortable with, and make it easy for them to login using social media sites like Facebook. Many people are always logged into Facebook, so if they can see at a glance where they can login using Facebook then they don't have to create an account at the sites that allow logging in using Facebook. Click the image to the right to see the sites that you can login with Facebook and those that don't require a login at all. Follow-up with a drip campaign so the odds of them actually providing the review go way up. For less than $130/month 21st will build you the online review funnel that will propel your business past your competitors. They'll never know what hit them, and your company will change forever. Think about it. Everyone does their research before buying! Be where they are looking with a ton of great reviews. If desired, you can receive emails for every negative or lukewarm review that is posted so you can address it immediately, and you can post the reviews as they come in to your website. If you're interested in boosting your businesses online presence with an extremely effective review funnel then complete this simple form and Michael Cordova, our president will be in touch with you within minutes to discuss setting you up. Just think where you'll be at this time next year if you do it. Think where you'll be if you don't. Which is brighter, day or night? Question: Do reviews like this usually sway your decisions? It does for most people. When someone searches online for a product or service, they look for the best provider. If they don't find you where they're looking then the game is over for you before it even starts. If they find you and you have an unimpressive presence then you're dead again. If, however, you are where they look and they see a ton of great reviews with a 4+ average star rating for your business, and none or just a few reviews for your competitors their decision to call you just got a lot easier. Our reputation (positive reviews) management service ensures your company gets the maximum amount of top reviews. We build you a central review site and grease the tracks to give your happy customers the easiest path to providing their reviews - no account required, no login. Your reviews are posted to the most influential sites on the Internet - the sites that Google and the top search engines refer to when they want to see if your company is legitimate and has authority. Imagine your business showing up in every local mobile directory that your customers use to find the services you provide! This includes the most used smart phones, in-car navigation systems, device-specific navigation systems and personal navigation devices like portable GPS systems. 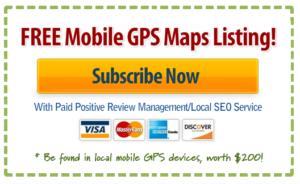 When you sign up for our positive review management services which includes powerful Local SEO, we'll list your website in the top hyper-local GPS map directories FOR FREE so your company will be found easiest in local searches. This is a $200 value. Reputation (Positive Reviews) Management Increases Rankings and Sales! Our positive review management service goes way beyond that. We also cover all of the other local SEO ranking factors that get you to the top of the local search engine results pages (SERP). This Will Change Your Business! By covering literally all of the bases needed for local rankings, and placing your business into every important local citation site where the search engines look to find you, your business will be ranked head and shoulders above your competition, and you'll get the call before your competitors! 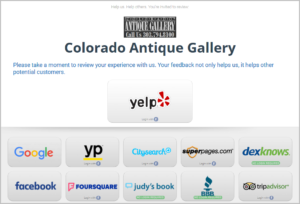 Many 4+ star reviews that visibly place your company above your competitors. This shows your authority and is itself responsible for more business. Higher rankings resulting in more calls! We collect your relevant information including the most important keywords, categories and images and all of your pertinent data such as products and services offered. We use all of this to optimize for local search success when we mix in the proper keywords based on what industry research has shown to be most effective. The Local SEO effort includes social media shares, bookmarks/links, review site company info additions and citation additions. By beefing up your local listings with more information than any of your competitors your business will rank higher in local search engines, it will be listed along with the 4+ star reviews in all of the most important local citation directories and you'll be getting more walk-in traffic and phone calls to your business.